From Goodreads: Sailing aboard her father’s trade ship is all seventeen-year-old Camille Rowen has ever wanted. But as a girl of society in 1855 San Francisco, her future is set: marry a man she doesn’t love, or condemn herself and her father to poverty. My Reveries and Ramblings: Several months before Camille’s marriage, she goes on one last voyage with her father. Just before reaching their destination in Australia, Camille discovers a secret her father has kept for 16 years-her mother did not die during childbirth and she is still alive. Before Camille can extract more information from her father, the ship goes down with her father-leaving Camille in the care of Oscar, her father’s first mate. He agrees to go with Camille to see her mother and get the map to the stone of Umandu. If Camille can get to the stone before her father’s rival, then she can bring her father back to life. With the help of Ira, their Australian guide, and Monty, Oscar and Camille travel through the wild Outback. With each day comes a bunch of near-death experiences and fast paced action scenes. I wanted to love this book. The first half of the book was a bit disappointing. There were a few really juicy scenes that I loved, but overall, I thought it was okay. The second half blew me away. I found myself flipping rooting for Oscar and Camille. I loved their relationship. Oscar was constantly caring for Camille. He saves her life many times throughout the book. It’s so cute. My absolute favorite part of the whole book was actually in the beginning when they were on the ship and the storm was bringing it down. Camille ran on deck and was scared. Oscar embraced her and said “My Camille” calming her and letting her know that he’d keep her safe. It was just TOO cute. My heart was melting! Basically whenever Oscar opened his mouth I was melting. He just had that effect on me. I found Camille, while ahead of her time with her independence, quite selfish at times. I thought choosing to marry Randall instead of pursuing her interest in Oscar, at the beginning of the novel, because her father’s business was failing was honorable of her. However, there was one scene where I wanted to slap her. She basically was wondering why she couldn’t marry Randall and still continue her thing with Oscar. I mean come on! That is so selfish. She only decides it wouldn’t work, not because its wrong, but because she thinks Oscar wouldn’t like to be considered second best. But I other than that I thought she was brave and had a back-bone. I loved Ira. He was so funny-kind of like an uncle. He stuck with them through their journey even though he would get nothing out of it. While I was disappointed with this book, I still thoroughly enjoyed it. It was a swashbuckling adventure. Everlasting read like a movie. I literally could see everything very clearly in my mind, including music! Think Pirates of the Caribbean meets Titanic. It was great. 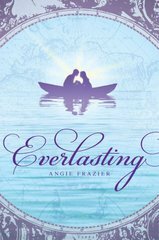 I liked Everlasting and will definitely be reading the next book when it comes out.